Advertiser.ie - Are you interested in care work but need a FETAC qualification? 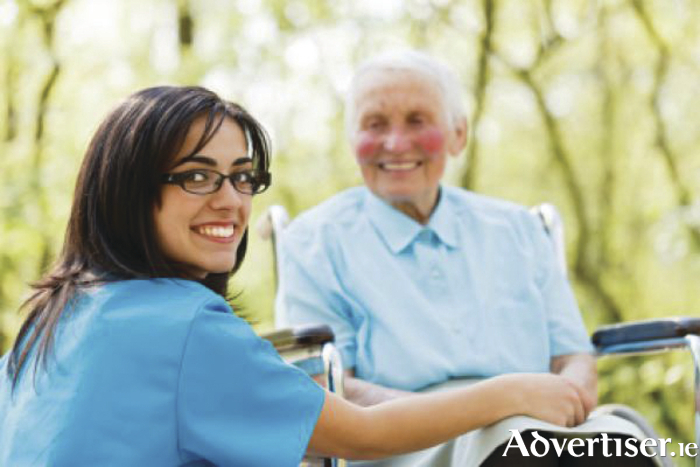 The private home care sector in Ireland remains a strong growth sector for jobs. An aging population coupled with new regulations means care workers now require a FETAC qualification. HealthSET, is a Galway based accredited healthcare training company specialising in a range of FETAC (QQI ) level 5 healthcare courses. Why choose HealthSET? Its FETAC courses are taught by highly experienced registered nurse tutors, which allows students to gain access to up-to-date clinical practices. With high student satisfaction rates and small class sizes, adult students gain high quality tuition and one-to-one support. During these courses, students will learn hands-on nursing care skills through assimilated scenarios and practical demonstrations under the supervision and instruction of qualified nurses. A FETAC qualification with HealthSET will provide you with the necessary skills and knowledge to work safely and confidently in the healthcare sector and know what to expect on that first job. Student testomonies prove it. "Doing a course with HealthSET gave me the confidence to work in this area, doing lots of practical skills in the classroom gave me the know how and skillset I needed. During my first job interview, I could talk about everything I learnt on the course. I now have a job looking after four older clients and I love what I do.'' (Mary, graduate of Care Skills and Care of the Older Person course ). A larger percentage of HealthSET graduates sucessfully gain employment in the home care sector after completing its courses. Currently, the minimal requirement to gain employment in the private home care sector is QQI Level 5 Care of the Older Person and QQI level 5 Care Skills. Both these courses are on offer with HealthSET starting Tuesday November 10, and Thursday November 12 . Day courses are part time and are held over five days. In addition, HealthSET is now offering QQI/FETAC Level 5 Infection Control and Prevention which begins on Saturday November 14. This practical based course is ideal for care workers working in a range of clinical environments.